Continuing on with the theme of quick and easy, I'm featuring another great cookie for Cookie Day 9! 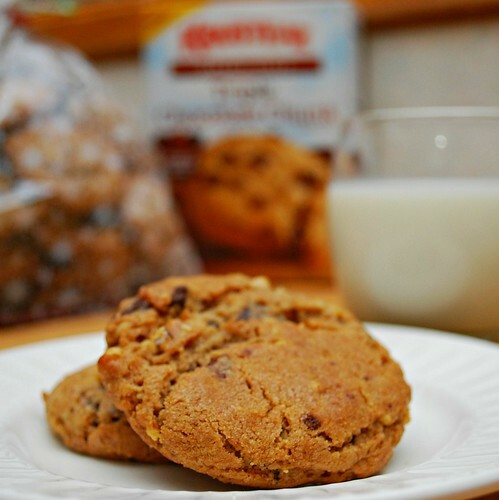 Today, it's a slight twist on the classic chocolate chip cookie. 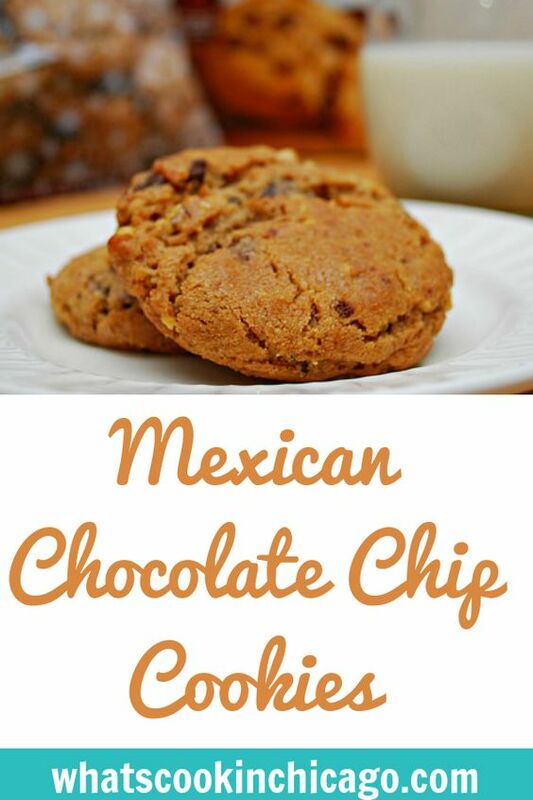 It's amazing what a little cinnamon can do in these Mexican Chocolate Chip Cookies. These treats are packed with three kinds of chocolate (bittersweet, semi-sweet and milk) laced with a touch of cinnamon and cayenne for a kick! So what makes this different from the traditional chocolate chip cookie? The addition of cinnamon and cayenne is a popular combination for a Mexican version. Cinnamon imparts a nice spiciness while the cayenne gives it a bit of heat. Together, it's a classic pairing as a nod to Mexican cuisine. If you're sensitive to heat, you can omit the cayenne pepper completely. However, if you like a little cookie that bites back, this is for you! In a large bowl, combine the softened (but not melted) butter, cookie mix, cinnamon and cayenne pepper until the dough forms. Drop heaping tablespoons of dough 2 inches apart onto an ungreased cookie sheet. Bake in preheated oven for 8-10 minutes or until light golden brown around the edges. Cool 5 minutes and remove from baking sheet.